Why do we keep receiving 5-star ratings on sites like Google, the BBB, Yelp, and Avvo? Because we provide zealous, compassionate advocacy for injured clients when they need it most. Have you been injured due to the negligence of another person? Are you the victim of a slip and fall? Perhaps you were involved in an auto accident. Maybe you were harmed on the job. Any number of situations can occur that can change your life in an instant, and when that happens, you’ll need effective legal help. You have legal rights that need to be protected, and you deserve to be compensated for your injury. The legal process can seem intimidating, but it doesn’t have to be. Whatever your particular circumstance, our team of talented attorneys are here to help you. How Much Compensation Can I Recover for My Injury? The amount of compensation you can recover will depend on a wide variety of factors – including the extent of your injuries, who hurt you, and whether you have a personal injury or a workers’ compensation claim – so we cannot answer this question without first learning about your case. However, when you speak with our dedicated Sunrise personal injury lawyer Mr. Benenfeld, he will listen to your story, and will be able to use the details of your accident to estimate the amount you may be able to recover for your expenses, including pain and suffering, lost income, and other damages. Do I Really Need a Sunrise Injury Lawyer? If you have been injured by the negligence of another, the answer is most likely a resounding YES. Why? Simple! The party who injured you will either have an attorney working on his or her behalf or have an insurance company with legions of lawyers dedicated to making sure you receive nothing at all in compensation, or at least minimizing any amount you recover. It’s important that you have someone fighting in your corner who understands the law and your rights. Our Sunrise Injury Lawyer will do exactly that. Yes! All consultations are completely free and 100% confidential. In fact, you do not pay anything unless Mr. Benenfeld is successful in helping you secure financial compensation for your injury. At The Law Offices of David M. Benenfeld, P.A., you never have to worry about legal fees. If Mr. Benenfeld secures a settlement or judgment, we retain a percentage of your recovery as compensation for our services. There’s no financial risk to you – only the chance to gain the compensation you rightfully deserve. Our Sunrise personal injury lawyers are constantly publishing to help educate people about their rights. Let us put that knowledge to work for you today. 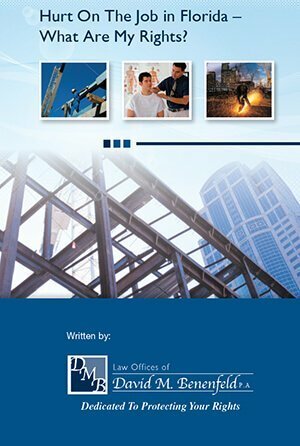 Hurt On The Job In Florida – What Are My Rights? What Kinds of Injury Cases Do You Handle? 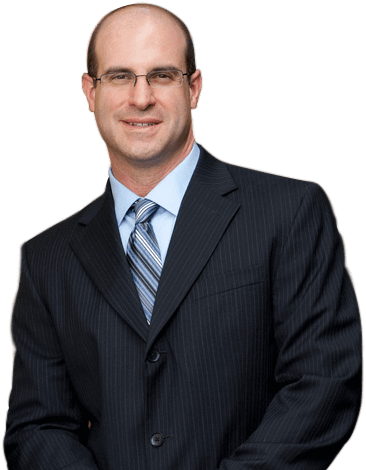 Mr. Benenfeld also has significant experience representing family members in cases involving wrongful death. Losing a loved one is a tragedy, and Mr. Benenfeld is passionate about ensuring that families receive maximum compensation from the party (or parties) responsible for their loss. Auto AccidentsUnfortunately, Florida roads are relatively dangerous, and Miami/Dade and Broward County roads are among the worst in Florida. As a highly experienced Sunrise personal injury lawyer, I have successfully represented injured clients in all kinds of traffic accidents. Motorcycle AccidentsThe combination of lack of frame protection and low visibility frequently results in lifelong disabilities for a motorcyclist who suffers an accident. This state of affairs demands fair compensation when the other driver is at fault. Bicycle AccidentsBicyclists are among the most vulnerable riders on the road – they even lack the ability to accelerate out of trouble the way motorcyclists do. And most of the time, bicycle accidents with motorists are the fault of the motorist. 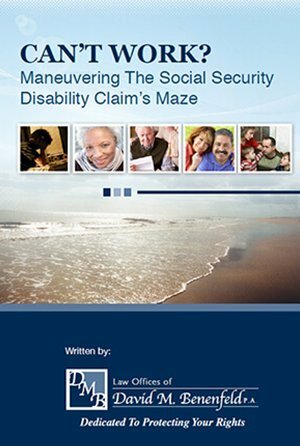 Nursing Home AbuseNursing home abuse can be some of the most despicable misconduct imaginable, especially when it occurs simply to pad a nursing home’s “bottom line”. The people you love should never be in that situation, and I know how to fight back. Slip and FallBusinesses are responsible for keeping their premises free from dangerous conditions. When they don’t, a premises liability claim arises, and it’s time to call a lawyer. Trucking AccidentsTrucks behave like road-hugging missiles when they lose control. Because of the heavy regulation of commercial trucking, trucking accident cases can often be based on regulatory violations. Work AccidentsMost work accidents are subject to workers’ compensation rules, which are different from ordinary personal injury rules. In some cases, however, an ordinary personal injury lawsuit can be filed. Wrongful DeathAny personal injury claim becomes a wrongful death claim if the victim dies because of the injury. Applicable law, however, is quite different from personal injury law in many ways. Who Do I Talk to for My Work Injury? 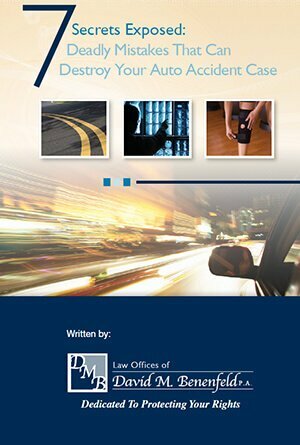 What Is a Car Accident Case Worth? What Evidence Do You Need to Prove a Slip and Fall Accident Occurred? ApproachableDealing with a giant “mega-firm” can make you feel like a case number, not a human being. As a committed Sunrise personal injury attorney, I handle all my cases personally, and I am available for your questions and concerns. CompassionateOne of the main reasons I practice personal injury and workers’ compensation law rather than some other form of law is the human element. I can promise to treat your case as if I were the one who was injured. Your case matters to me, and I will always be appreciative of your circumstances, your time, and your confidence. KnowledgeableBecause my practice focuses entirely on personal injury and workers’ comp law, I have learned subtle nuances of this area of law that other lawyers may miss. I base my practice on the belief that theoretical command of a specific area of law is just as important as practical skills. ExperienceNot only do I have the knowledge necessary to fight for your rights, I have the experience to back it up. I have represented clients in thousands of cases in a variety of legal areas over many years. I have the knowledge, have put it into practice, and can use that experience to fight for the compensation you deserve. StreetwiseAll of the academic knowledge in the world is useless to a personal injury lawyer without a deep understanding of human nature, including its darker side. I learned my “street smarts” through thousands of negotiations and courtroom battles and can put that knowledge to work on your behalf. AggressiveIt really makes me angry when opposing parties try to take advantage of my clients. I have come to understand that a controlled aggressiveness is sometimes just what it takes to get results – and I don’t hesitate to put that understanding into practice. PracticalWhen you suffer a personal injury, the last thing you are likely to be concerned about is whether your lawyer can come up with an eloquent legal argument. Instead, you are concerned with compensation – dollars and cents. As a highly experienced Sunrise personal injury attorney I understand that, and I live by it. Contact Us TodayYou should consult an attorney for legal advice regarding your rights as every case is unique and requires an in depth analysis. A “Superb” rating from the AVVO legal rating service.